Unless you’ve been hiding under a rock because you’re scared to death of the politicians that want to destroy our Freedoms, then you’ve likely heard of the song Gangnam Style by the Korean rapper PSY (video HERE). It’s hard to utter the words “Korean” and “rapper” in the same sentence and keep a straight face. Gangnam Style was used for the opening ceremonies (Video HERE) for the $2M RM (2M Malaysian Ringgits = ~$700K U.S.) 8000 sq.ft. 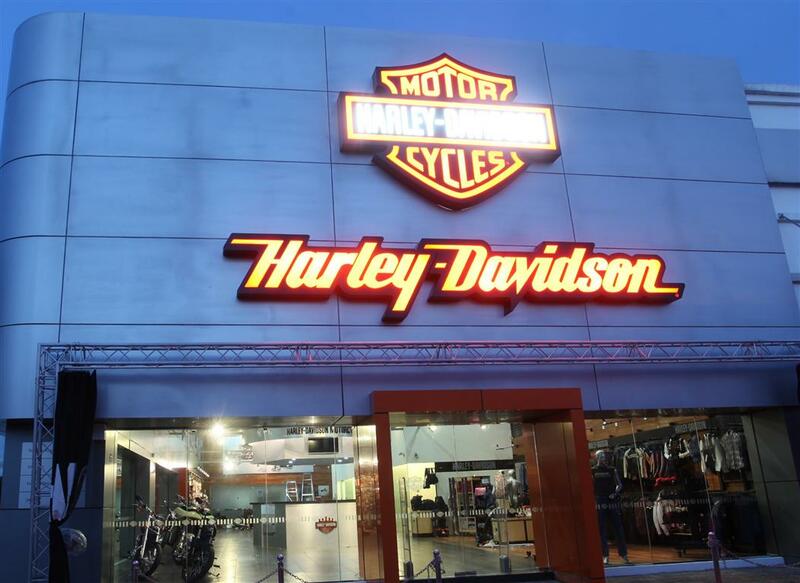 Harley-Davidson dealer in Penang, Malaysia this month. 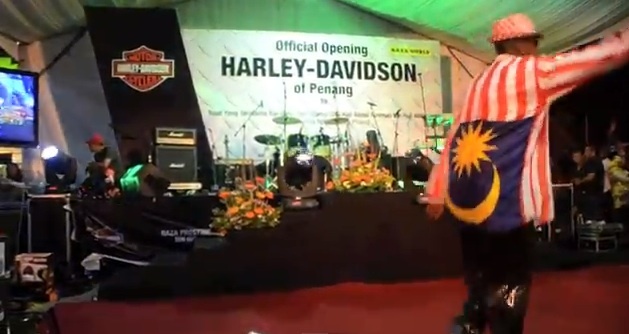 It’s a crazy world when a Korean pop song (K-pop) is used to introduce an American iconic brand (which is the poster child for freedom) to Malaysian motorcycle enthusiasts. In case you didn’t do the Google, Malaysia is a country where 60% (approx. 25M people) are Muslims and if I understand the ruling correctly, dancing is not something permissible. The K-pop song shot to meteoric fame during the Olympics. It got another boost when Justin Bieber’s manager (Scooter Braun) picked up the group and they recently performed on the Today show. So the song is still lingering around. PSY (real name is Jae-Sang Park) is a complete goofball. He looks like someone you’d see at a late night Karaoke club who drank too much Soju (Korean alcohol). He’s singing off pitch, but the sunglasses make you look cool so roll with it and no one should take notice. The video is like watching rainbows and unicorns in a train wreck. But, then you find yourself for the rest of the day saying out loud over and over…”GANGNAM STYLE”… followed by outbreaks of a goofy horse dancing move in your kitchen. I mean, you not me of course. You might be asking yourself the question, what is this Gangnam Style anyway? After going viral, PSY’s outrageous dance moves have led to numerous imitation videos, including one here in Oregon featuring the Oregon Duck, the University of Oregon’s mascot. In fact, there was a video released this week where the entire UO band got into the Gangnam Style act HERE during a half-time. And speaking of Freedom… I like that I live in a country where people are able to work hard and chase whatever awesome dream they can think up. Even if it’s a goofy dance video that goes viral and they make millions from it. I want them to be able to order a 52 oz soda if that’s what they want to drink. I want them to be able to buy a Harley-Davidson, Porsche or Hyundai or whatever it is that makes them happy. I like living in a country so free that you can defy all the odds. You can try things and screw up and begin again. In short, success is an awesome thing. And living in a country that promotes success and successful living should be trumpeted. So go for your GANGNAM STYLE to your heart’s content. We’re still free to dance in our kitchens! And speaking of success. Memo to H-D Marketing… please send me a GANGNAM STYLE Harley t-shirt when you get it designed. I don’t want to buy a Korean knock-off. UPDATE: September 27, 2012 — According to the Guinness World Records the Gangnam Style video has now become the most liked video of all time on YouTube.